The blue dacnis or turquoise honeycreeper is a small passerine bird. 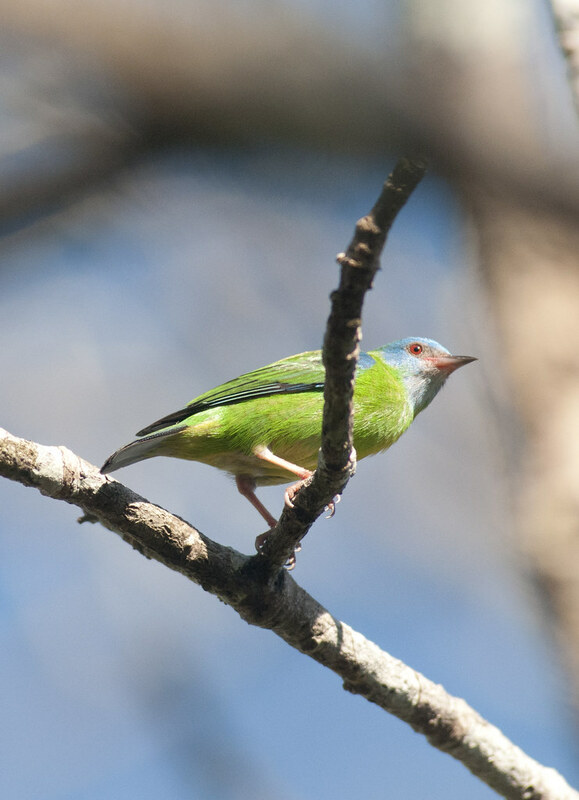 This member of the tanager family is found from Nicaragua to Panama, on Trinidad, and in South America south to Bolivia and northern Argentina. It is widespread and often common, especially in parts of its South American range. It occurs in forests and other woodlands, including gardens and parks. The bulky cup nest is built in a tree and the normal clutch is of two to three grey-blotched whitish eggs. The female incubates the eggs, but is fed by the male.